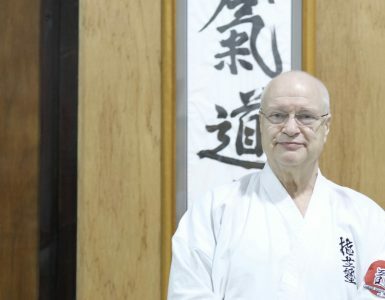 Morihiro Saito: 9th dan, and one of aikido’s most respected teachers. 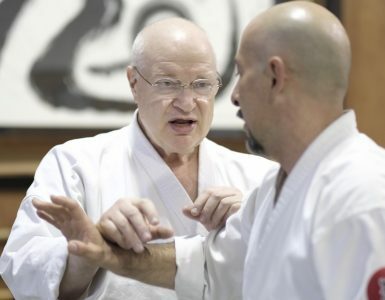 Saito Sensei was one of O-Sensei’s closest students and achieved worldwide recognition due to his numerous international seminars and the publication of many authoritative technical books. Gozo Shioda: One of O-Sensei’s most skilled students from the prewar era and founder of Yoshinkan Aikido. Shioda Sensei taught an effective, martial-style of aikido that attracted tens of thousands of students over his long teaching career. 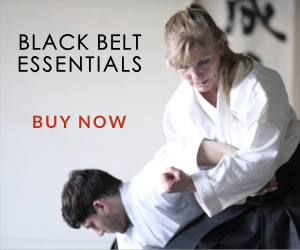 He is also the author of numerous technical manuals on Yoshinkan Aikido. Minoru Mochizuki: A leading student of judo founder Jigoro Kano sent to study with O-Sensei in 1930. 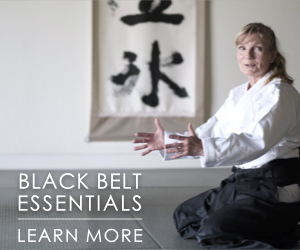 Mochizuki Sensei underwent rigorous training in numerous martial styles during his career and created Yoseikan Budo, an eclectic martial art incorporating aikido, judo, karate, swordsmanship, and other arts. 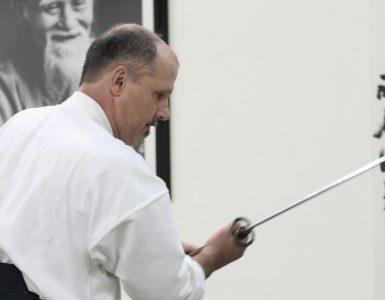 He was one of the only students to have learned extensively from both Jigoro Kano and Morihei Ueshiba. Yoshio Sugino: A judo and Katori Shinto-ryu master who studied under O-Sensei in the prewar era. Sugino Sensei was one of Japan’s most famous martial artists, and choreographed the fighting scenes in Kurosawa movies such as “The Seven Samurai,” “Yojimbo,” and others. Kenji Shimizu: One of the last and most talented students of O-Sensei who came to aikido after a successful judo career. 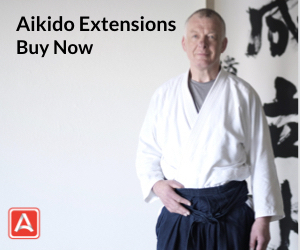 Shimizu Sensei later created Tendokan Aikido, and developed a following of thousands of students throughout Europe. 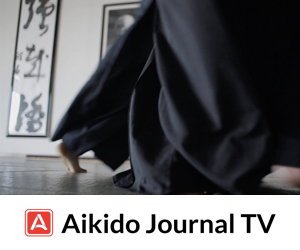 Watch now on Aikido Journal TV, or buy the series.